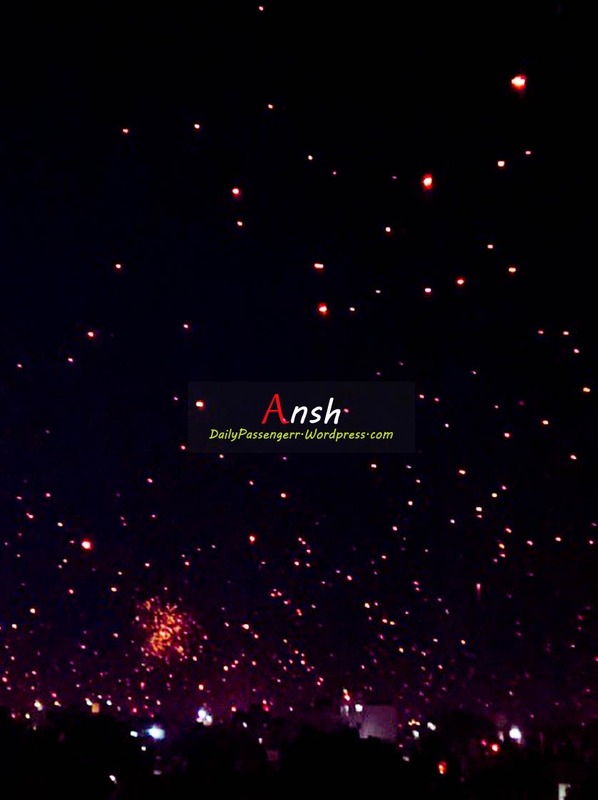 Imagine a night when millions of stars descend on Earth to watch people celebrate and dance. The hangover of New Year doesn’t seem to end in Gujarat even after 15 days. 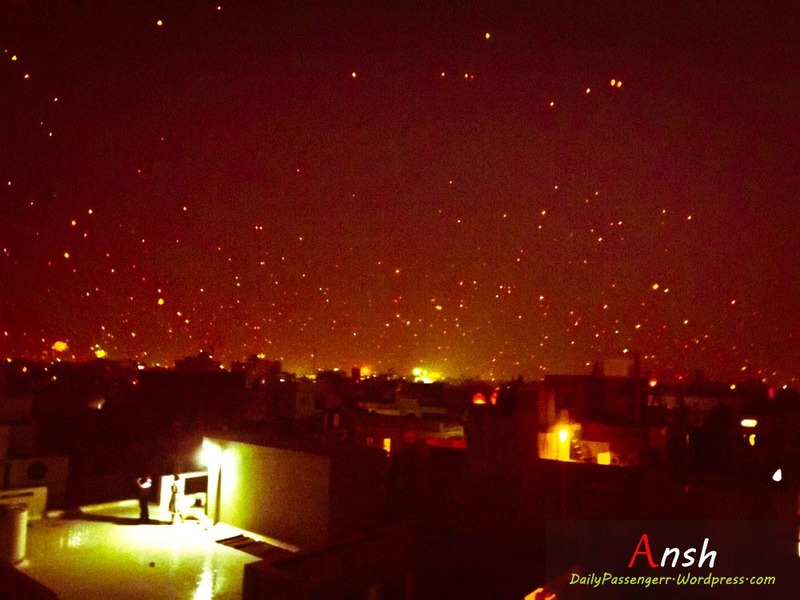 Uttarayan is one such festival that any Gujarati will tell you the joy of. 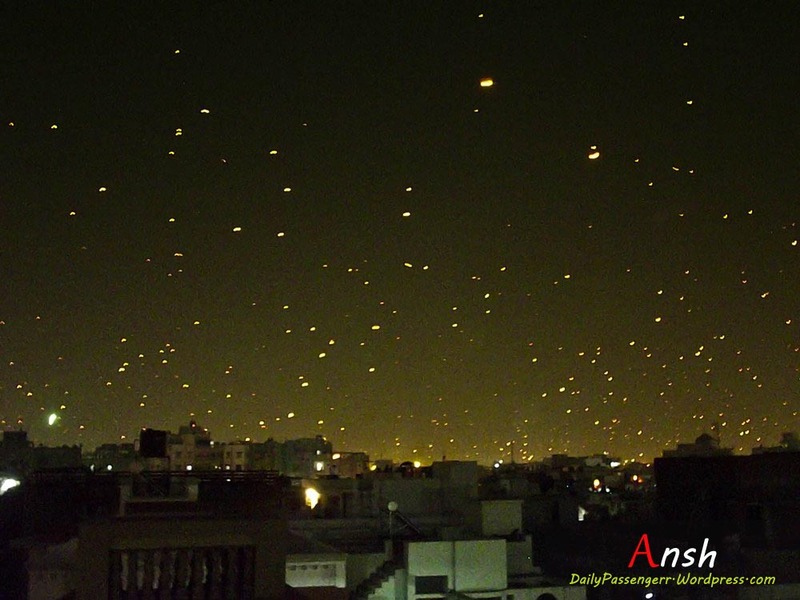 I wanted to visit Ahmedabad since the day I saw the pictures of the sky filled with kites during the day and illuminated balloons floating in the night sky. 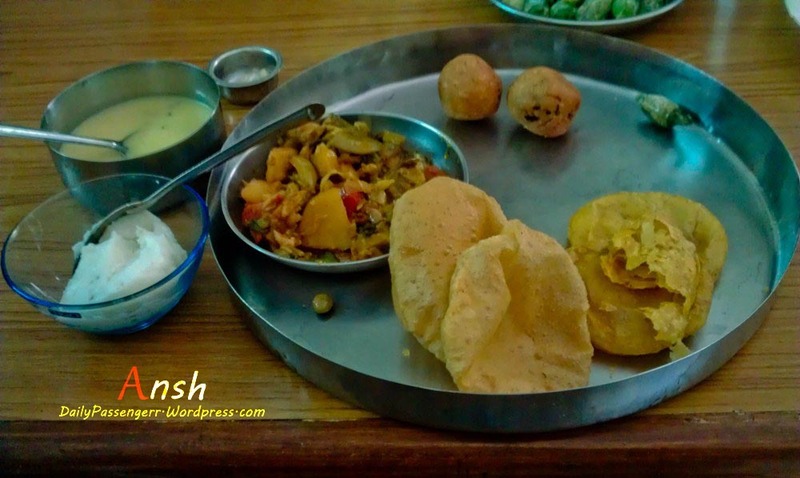 That craving was fulfilled this year in January when I was travel to Ahmedabad, an evening before Uttarayan. In my mind I was prepared to feast my eyes on the magnificence that lay ahead, imagining how the next day shall be. I reached Ahmedabad and was surprised to find that most of the hotels were already booked. The Kalupur area where most of the hotels are located and is also one of the street shopping hubs of the city was crowded at 10 in the night. 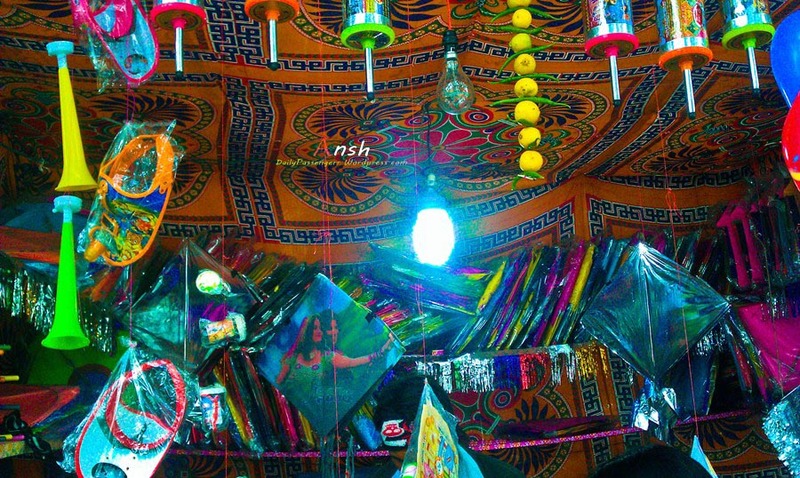 The road was filled with street side shops selling kites, manjha and firki. It was so common to see people wandering from one shop to other analyzing kites closely, it didn’t matter if it was an adult or a child. Finding a hotel was tough, tougher than those remote locations I have traveled to. Still I found one, for a rip-off price of 500 bucks I felt cheated but I had to sleep. The morning was cold and as I stepped out of my slumber I found that instead of kites a massive fog covered the sky. I could hear people say that the weather is not fit to fly kites. 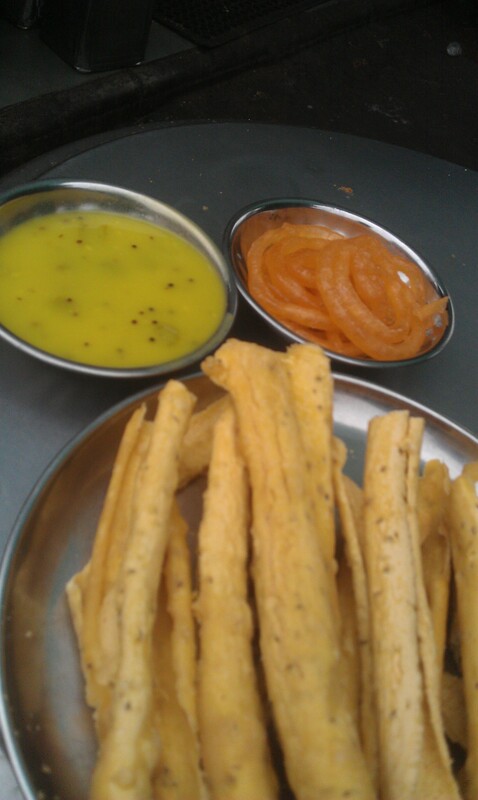 An awesome morning like this called for my Gujrati favorite, Fafda Jalebi. It didn’t matter that how the weather was and what the news and people were saying. The zeal on the road made the last night’s enthusiasm look like a trailer that they show before the movie. Maybe this enthusiasm brought down the weather gods as the fog slowly disappeared. What happened next morning cannot be described in words; however I’ll try my best. Sky will filled with colors. 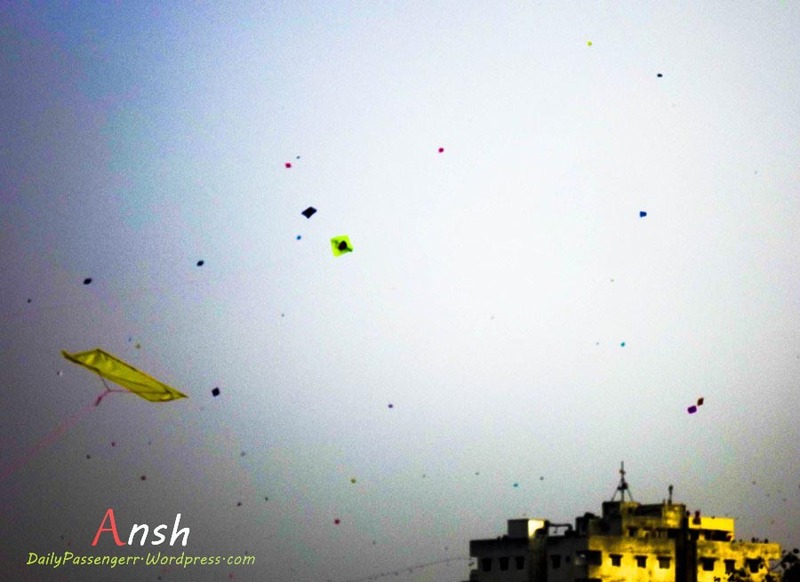 Kites in all shapes and sizes filled the sky with colors, Kalupur is the Old Ahmedabad area that was in the mood of celebration since morning. Roofs were filled with people flying kites, playing songs and dancing in groups. 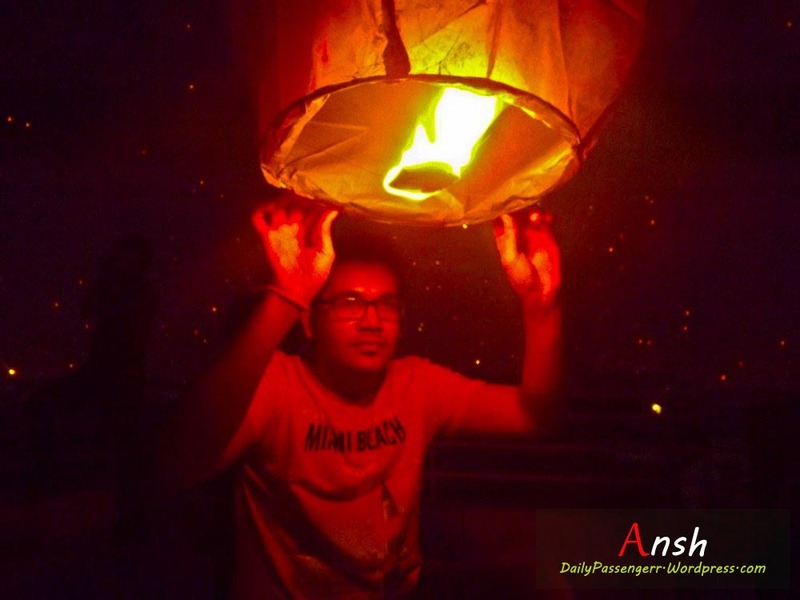 Uttarayan marks the end of Winter Solstice, like rest of the country people celebrate the festival with enthusiasm. One can see kids running on streets trying to catch kites, ladies cooking and dancing in their traditional style. Ahmedabad becomes hub of kite loves as they gather from all across the country for the national kite flying competition. As old people have said, where there are Gujjus there is food. 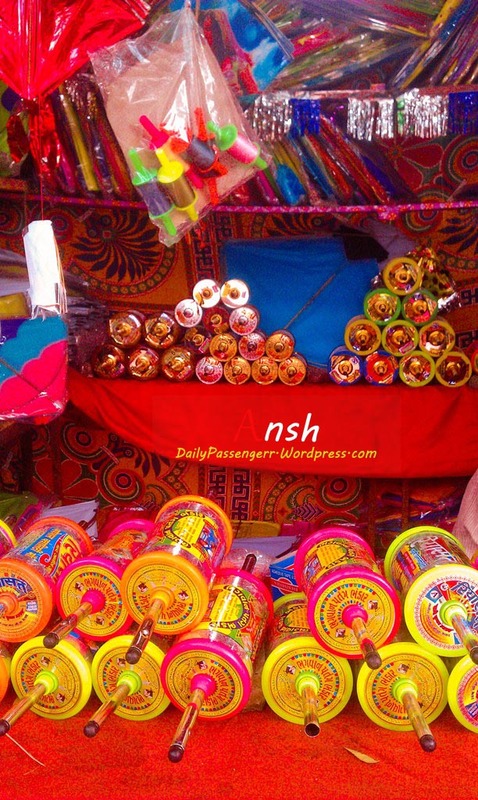 They have a special food for every occasion, like for Uttarayan they have Undhiyo and Jalebi. Undhiyu is a dish made from fresh winter veggies with spices cooked in an upturned pot (undhu maatlu, hence the name undhiyu). The food is so delicious that one cannot simply stop eating. 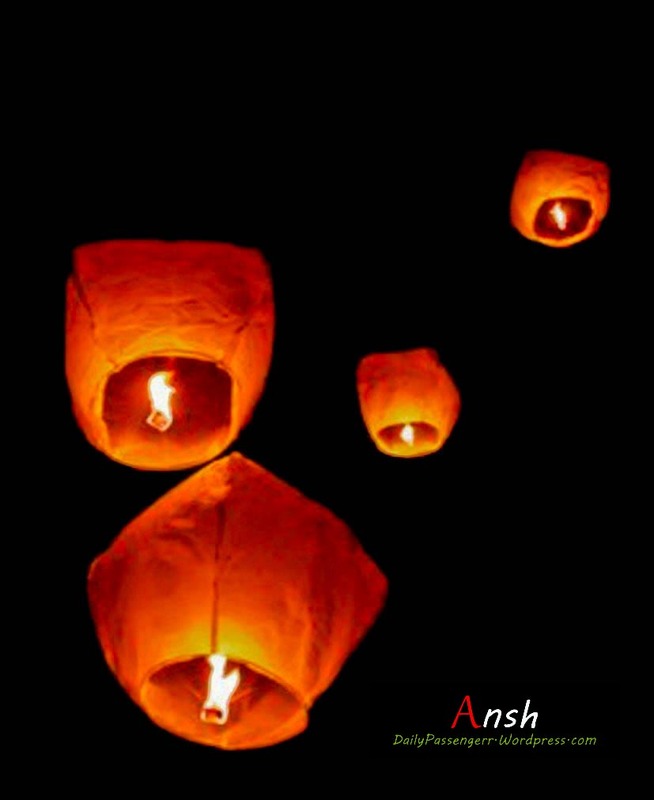 But apart from this what one looks forward for the most is the evening when balloons with lanterns start illuminating the sky. This is accompanied with fireworks, dance and music as the sky slowly turns orange. It looks like millions of stars have descended on Earth to attend this celebration. For me it was the first time I watched something so beautiful. The celebration goes on for one whole night and after flying balloons in the sky everyone gathers around the bonfire. Next morning I had to leave and like every journey this one came to an end as well. I left with a promise that I’ll be back for this festival again next year. 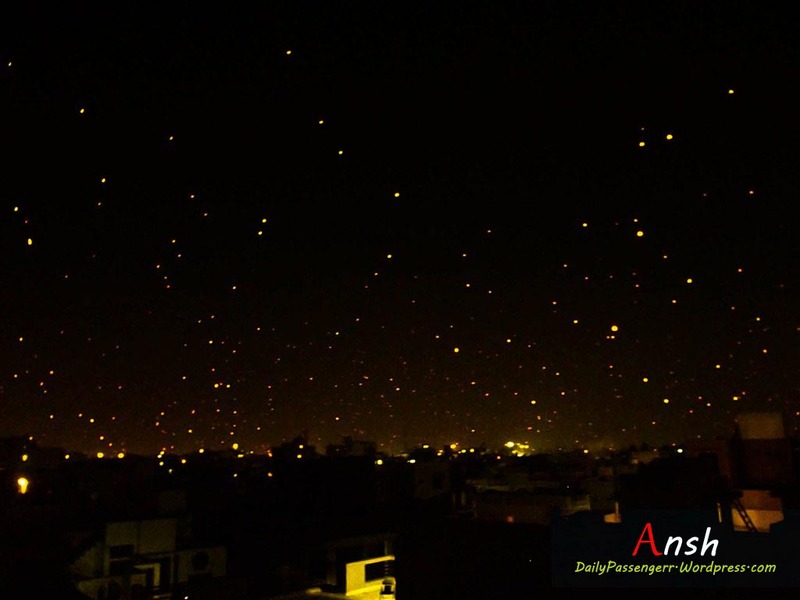 About Uttarayan – Uttarayan is celebrated in Gujrat during Makar Sankranti. How to reach – You can travel to Ahmedabad from any major city of India, arrive an evening before but make sure that you have booked your hotel in advance as it gets very crowded. 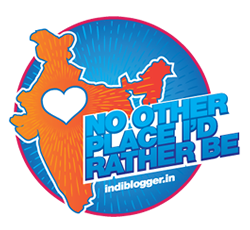 Where to Stay –You can stay at a hotel around Kalupur area. You can get buses, auto rikshaws and BRTS connecting this area to rest of the places in Ahmedabad. You can also take a heritage walk in Old Ahmedabad or go on a food walk at Laal Darwaza.